Chris had a stroke some three years ago and has been with Community Connections for most of the time since then. He was very much an outdoorsman and enjoyed hunting and fishing, he worked hard in his garden and enjoyed playing tennis. Since his stroke Chris has worked hard to get back some of the strength and movement he lost. He has been able to get out for a couple of bush walks with help from his support workers and has been on fishing and hunting trips with his mates. Just doing some of the jobs around home he found frustrating such as bringing wood into the house for his fire. Even walking to the shop and carrying his purchases home was an effort partly because of not having a suitable bag to use. So Chris designed a front pack that suited his needs and now he is able to get things done quicker and without too much hassle. He can step into the waistband and place one handle over his head. 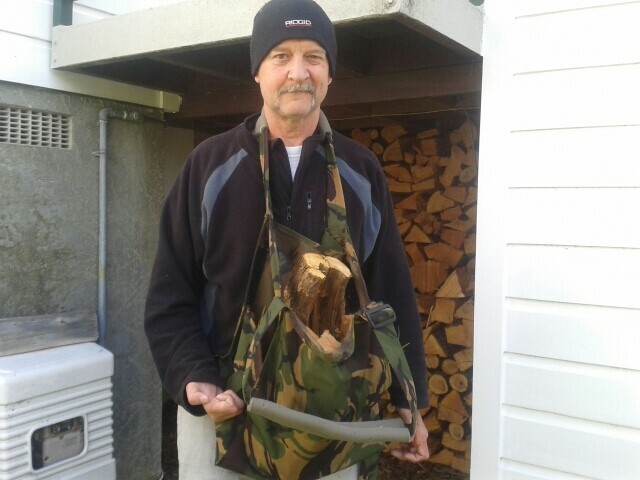 The bag expands as needed and when it’s full Chris can put the second handle over his head freeing up his hands. Other people may be interested in this bag too. You can use it for shopping, and weeding the garden and many other things. It looks fashionable and is not big and bulky. The bag can also be self-cleaning due to the inner lining. 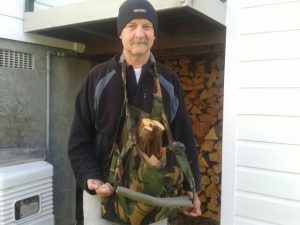 If you would like to know more about the bag Chris designed please contact his support workers through Community Connections, Lower Hutt.